DJI Mavic vs GoPro Karma Comparison | Wrath of The Titans ! 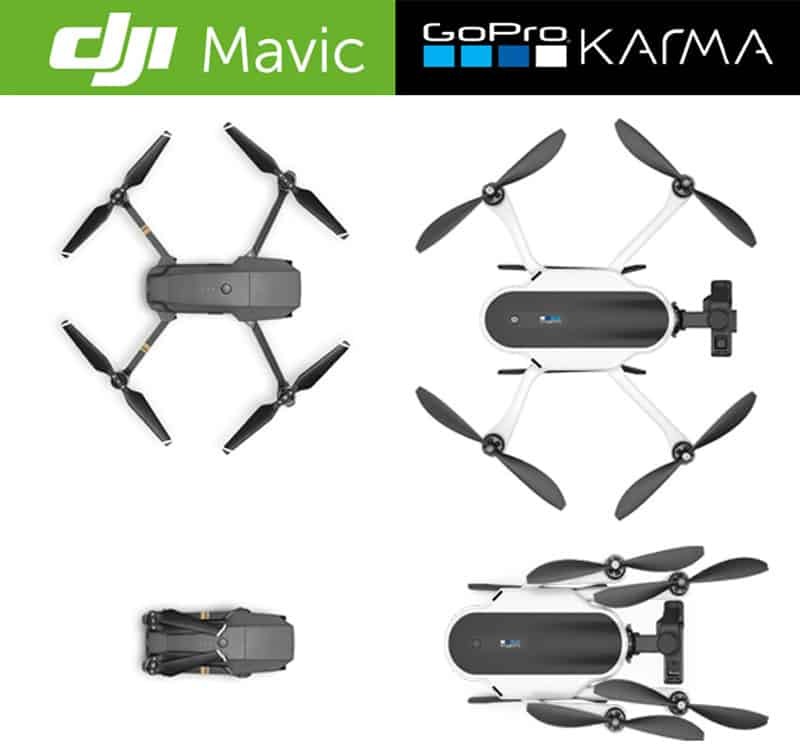 With the release of GoPro’s Karma drone, we are set for an amazing battle within the top-flight foldable drones’ category. So far, the market incorporated just a few medium-tier models with DJI’s Mavic Pro being the only one worthy of the premium tag to its name. Now that the GoPro Karma is up and running, the stage is set for a proper clash between the two giants. So, how do they compare to each other? Well, that’s exactly what this comparison will tell you all about! 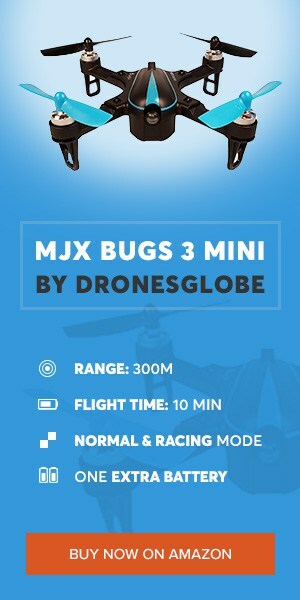 As you can see, both of these drones are pretty similar when it comes to the main specs. But, the more you go in-depth, the more you will find DJI Mavic Pro to be superior. Not only due to its state of the art obstacle avoidance sensors and much smaller size, but also because of its dual navigation systems and much lower weight. On a side note, even though the battery on Mavic Pro seems like a bottleneck in comparison to that on Karma; believe it or not – DJI Mavic Pro still has much more air time. 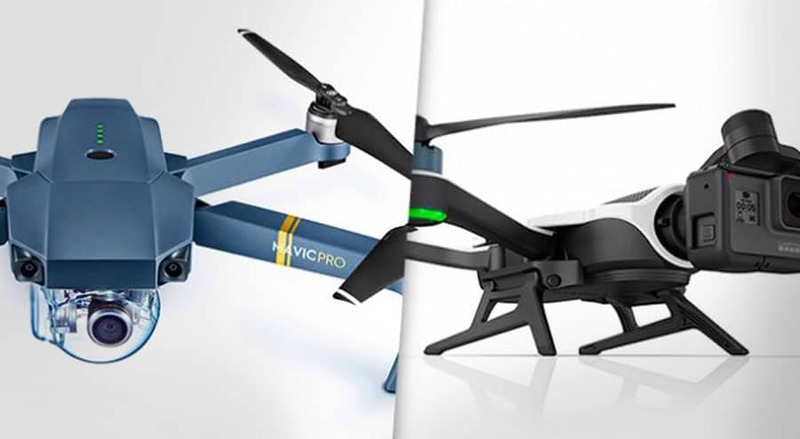 It is pretty obvious that both of these drones are targeted at people who are looking for portability. Classic drones such as DJI Phantoms or Yuneec Typhoon are way bulkier than these little guys and they are not exactly easy to carry around. So, for people looking for easy-to-carry drones that are equipped with high quality cameras, DJI Mavic Pro and GoPro Karma are the most desirable options. With that being said, let’s talk a bit about the portability of these two. As you can see in the Specifications table above, DJI Mavic Pro is a lot smaller than GoPro Karma. When folded, this little fella can fit into virtually any type of backpack. Additionally, it is also insanely easy to carry around since it weighs well under a kilogram. Even though GoPro Karma does not weigh a lot more (let’s round it up to 1kg precisely), it is still a lot bigger than DJI’s masterpiece. Don’t get me wrong – its size doesn’t stop it from being portable… but if you are looking for the smallest drone with the best technology, then DJI Mavic Pro is an obvious choice for you. For this part of our comparison, we will be taking into consideration GoPro Karma equipped with the Hero 5 Black. 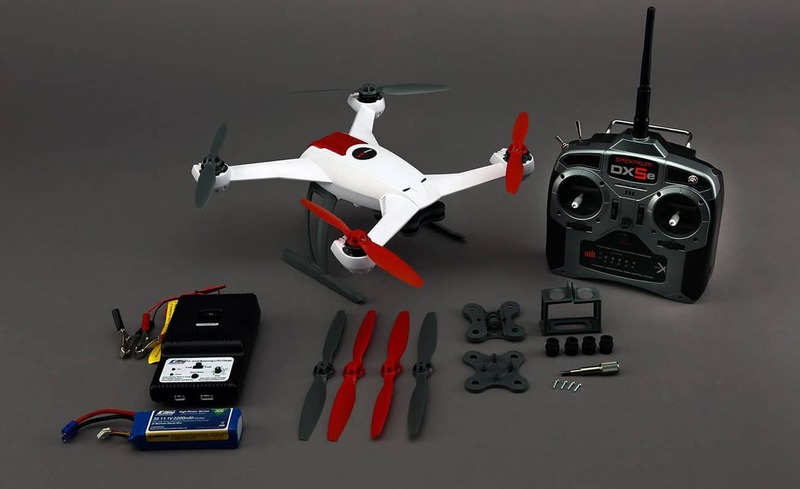 It’s the standard camera for this drone that comes bundled together with the package. On the other hand, DJI Mavic Pro comes with its own built-in camera which is not replaceable. Still, I don’t see why would you want to replace it since it does its job more than good. Starting off with GoPro Karma, it is important to say that it sports a better camera out of the two. Of course, that is not a surprising fact. You can’t really expect DJI’s built-in camera to be on par with GoPro’s fully fledged Hero 5 Black. Not only does it have a slightly wider lens, but it also has other advantages. The most important ones are better burst shooting (3-30fps on Karma and just 3-7 fps on Mavic Pro) and superior video capture (slightly higher FPS at FHD and double FPS at HD). So, with all that being said, the clear winner in this department is GoPro Karma. With a fully-fledged action camera leading the charge, mounted on an industry-leading gimbal stabilizer, GoPro’s image and video quality exceeded everyone’s expectations. In the next couple of paragraphs, I will tell you more information about the performances of these 2 drones! They are pretty close to each other in terms of battery power, but not so much when it comes to operating range. Still, considering that both of these models are way more powerful than their foldable competitors, it’s safe to say that they can both be considered as winners’ performance-wise. But still, It’s important to discuss the performance a bit further! So, without much further adue, let’s go! When it comes to batteries, it’s hard to even think about Karma beating Mavic Pro’s 26 minutes of flight time. Still, it manages to get pretty close to it with 20 minutes on average. So, with 6 minutes of difference between the two, I believe it’s pretty clear that DJI Mavic Pro is a clear winner. I should also mention that 25-27 minutes is probably the best flight time you can get from commercial drones available on the market in 2017. Truth is, there are drones that can stay in air for 60+ minutes, but they cost more than my car so I guess they are not meant for average drone enthusiast. For $1000, 27 minutes is maximum, and I’m totally fine with it. Operating range of a drone is always one of its key aspects. When it comes to the foldable drones, they usually really disappoint with their operating range (generally, their performance wasn’t exactly any good). Luckily, both of these drones are miles ahead of their competitors. Still, DJI Mavic Pro is superior with its 7 kilometers of seamless experience. It might seem to you that GoPro Karma with its 1 kilometer is way far behind it… but it’s actually pretty good, especially considering all other foldable drones on the market (such as the Dobby, Xplorer Mini and so on) don’t even get close to 200 meters. These 2 drones have a very different understanding of what the word “features” represent. While Mavic Pro is equipped with all the new features DJI already implemented with their Phantom 4 Pro and Inspire 2… Karma has a totally different set of options. Both of them provide with unique capabilities so let’s see what are they all about! Starting off with Mavic Pro, it has all the standard features we’ve come to expect from DJI’s models. With obstacle avoidance being the most important feature for flight safety, that’s obviously a huge plus in comparison to GoPro Karma’s lack of it. Moving forward, Mavic Pro has ActiveTrack Tap Fly and other similar smart features that will make you shoot professional quality aerial footage with ease. GPS+GLONASS navigation does wonders in terms of stability and autonomous flight. Even though Karma also possesses GPS, it is not nearly as good as that on Mavic Pro. In karma’s defense – features are not only software-bound. You see, GoPro has added Karma Case and Seeker Sportpack, both of which are crucial for capturing outdoor activities like hiking or biking. Moreover, another interesting addition is Karma Grip. This essentially allows you to remove the included GoPro Hero 5 Black from the drone and use it in many other ways. They include handheld and body-mounted uses, allowing you to capture active footage like never before. As you can already tell by yourself, in the features deparment it is very difficult to pick out a clear winner. While DJI Mavic Pro is more software-oriented with its features, the folks over at DJI took it one step further and in addition to a couple of software-bound functions, they’ve added in the Karma Grip that makes up for a magnificent body-mount footage. So, if you have to choose between these two drones and you’re in a tough spot making up your mind, perhaps waging them by their features might lead to a final decision. Once again, in my subjective (and honest) opinion, I believe DJI Mavic Pro stands as a close winner… But that’s depending on whether you’re just wanting an aerial platform or a body-mounted one. In the end, I would like to make not just one but a few summaries about these 2 awesome drones. First off, I’d like to, once again, point out that GoPro Karma offers a complete package. It is not just a drone but a body-mounting system as well. 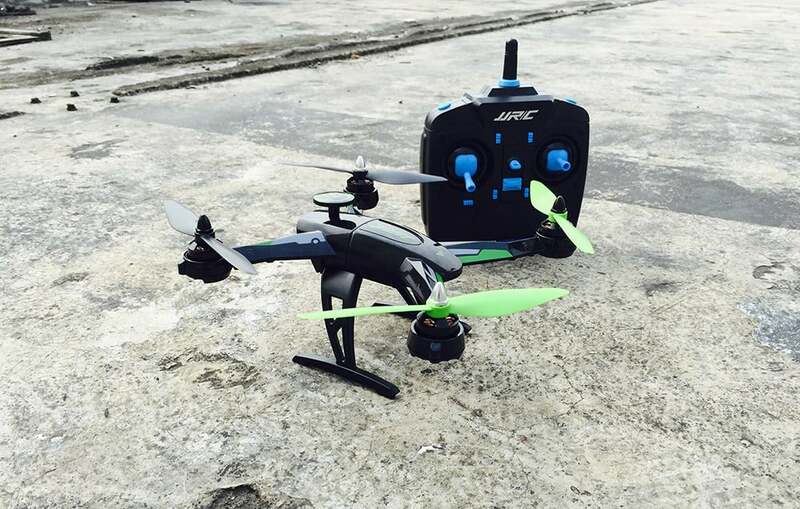 It delivers everything you might need from a regular GoPro camera plus the addition of a FREAKIN drone on top of it. On the other hand, DJI Mavic Pro excels there where Karma isn’t showing off its best skills. For instance, Mavic Pro has superior performance in terms of both operating range and top speed. On top of that, it is also a much smaller device meaning it has a whole heap of extra portability to it. And we all know that’s pretty important for some people (including myself). And finally, I’d like to make a final verdict on the two, in order to conclude this article. If you are looking for an extremely portable drone with excellent specifications and great all-around aerial photography platform, then look no further than the DJI Mavic Pro. Likewise, if you are looking for a complete package with INCREDIBLE video/image quality that comes with amazing GoPro accessories such as the GoPro Grip, then Karma is your obvious choice. With that being said, I don’t see a clear winner here. It’s more of a “pick the one that suits your needs the best” kind of situation. Do i read this wright that the DJI MAVIC PRO flys out 7 kilometers? Overall I like the Mavic. The wide view with the Karma is obviously better but the MavicPro was better with all things considered. Incidentally, I own. Mavic Pro but not biased. As you can already tell by yourself, in the features department it is very difficult to pick out a clear winner. While the DJI Mavic Pro is more software-oriented with its features, the folks over at GoPro took it one step further and in addition to a couple of software-bound functions, they’ve added in the Karma Grip that makes up for a magnificent body-mount footage.